Find your slice of Queensland paradise on the beachfront of Palm Cove! 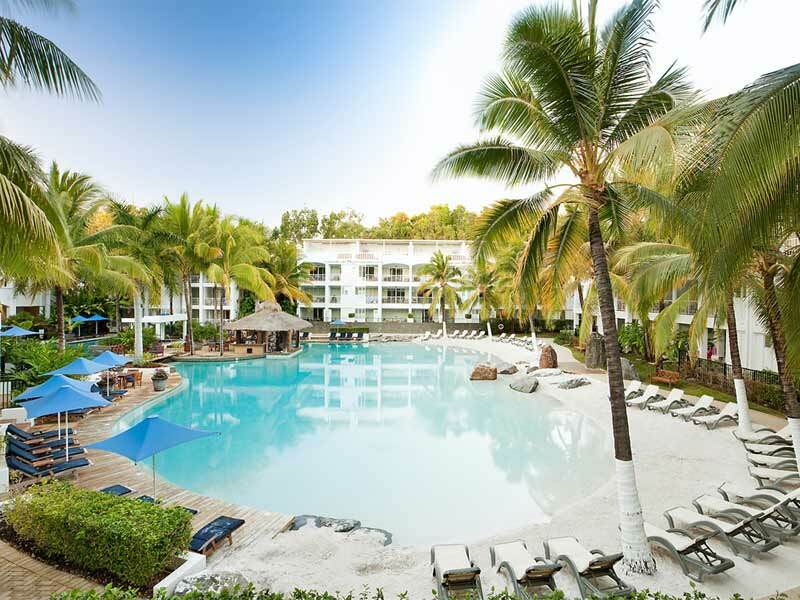 Surrounded by swaying palm trees and white sand beach, Peppers Beach Club & Spa, Palm Cove, is an iconic North Queensland resort offering contemporary accommodation with a coastal village atmosphere. Spend an indulgent weekend away and wake up to stunning ocean views fringed with palms and lush tropical gardens at Peppers Beach Club & Spa. The rooms at this resort are stylish and packed full of ultramodern furnishings and décor with neutral tones. 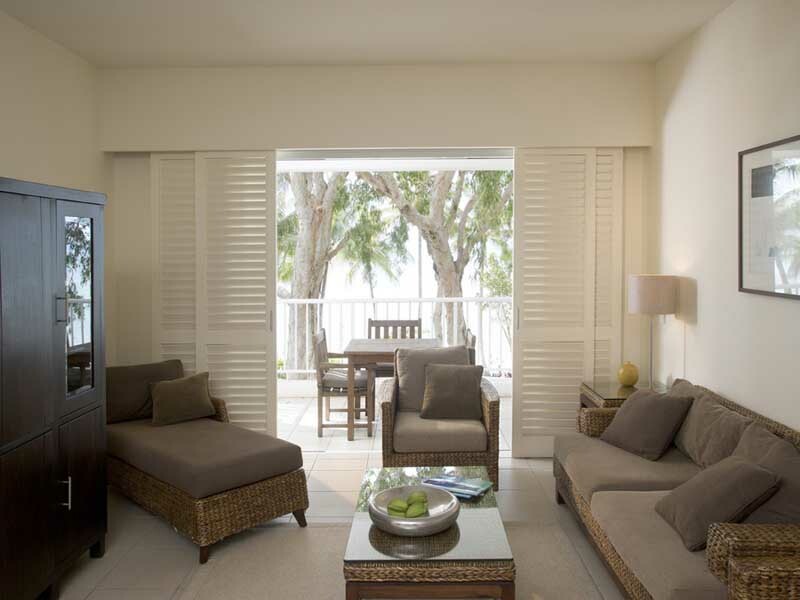 Enjoy your privacy thanks to plantation shutters and breathe in the refreshing tropical air from the open terrace or balcony. Everything you need to make the most of your Queensland holiday can be found inside the Peppers Beach Club & Spa rooms. Stay connected with in-room Wi-Fi access, control the temperature with the air conditioning and ceiling fans and take in the views from the private balcony! Activities and facilities abound in and around Peppers Beach Club & Spa, so you’ll never be short of something to do! Pull up a sun lounger around the lagoon-style pool and while the day away swimming and sunbaking while you enjoy an exotic cocktail and snacks from the pool bar. Treat yourself to a therapeutic spa treatment at the resort’s day spa or book the rooftop for a barbecue overlooking Palm Cove. When hunger strikes make your way to Lime & Pepper Restaurant for an extensive menu of sumptuous dishes, all created with fresh local ingredients sourced from the reef and surrounding tropics. Adventure seekers can jampack their days with the range of activities and attractions that surround the resort. Visit the Daintree Rainforest, venture through Barron Gorge National Park, explore the Great Barrier Reef or take the journey to Cairns or Port Douglas. 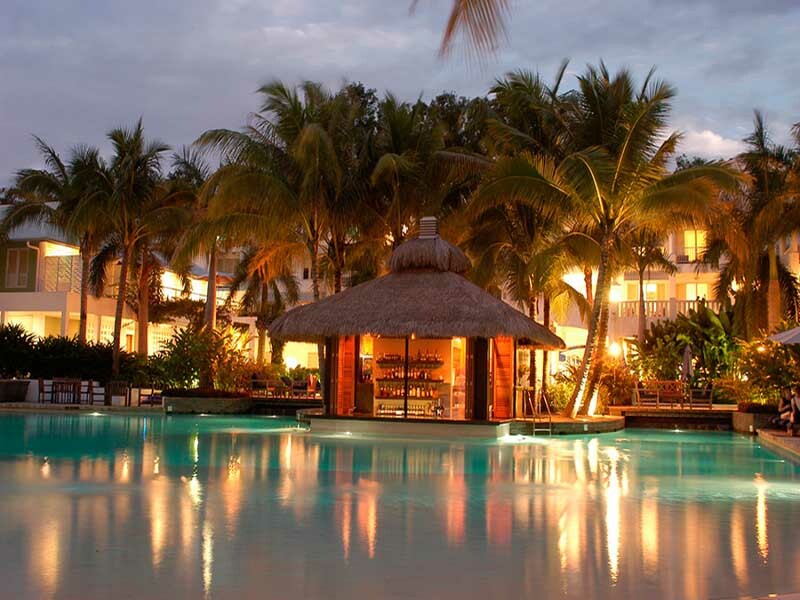 Why go to Peppers Beach Club & Spa, Palm Cove? The soft white sands and azure waters of Palm Cove are just metres from the luxury beachside accommodation of Peppers Beach Club & Spa. The gentle ocean breezes combined with the coastal village atmosphere help lull even the weariest of travellers into a state of total relaxation. 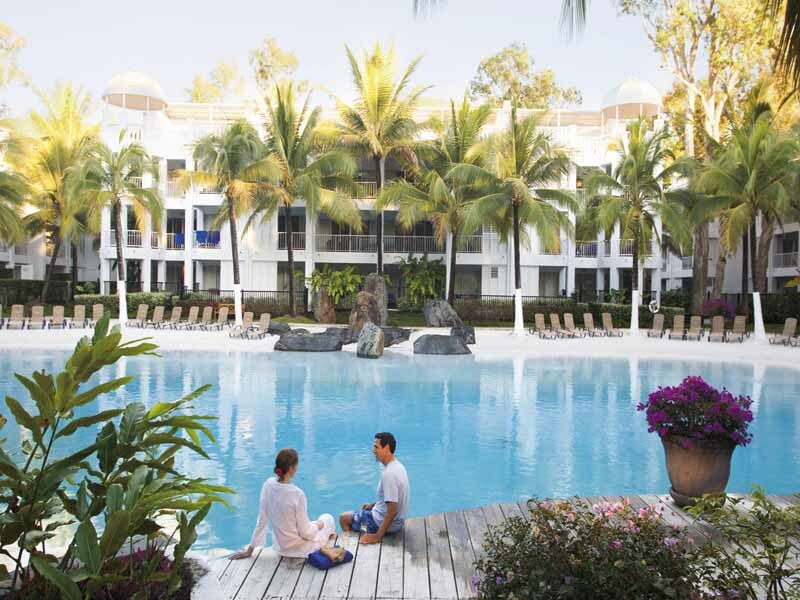 Base your Queensland holiday at the peaceful sanctuary that has it all and stay at Peppers Beach Club & Spa, Palm Cove. Enjoy views of the resort’s lagoon pool or lush tropical gardens from the spa bath on the furnished balcony of a Resort Spa Room! Rest easy on the plush king size bed and make yourself comfortable with the range of in-room special touches such as in-house movies, internet access, mini bar and bathrobes. Also, featuring a coffee pod machine, cable TV, refrigerator, air conditioning and ceiling fans, it’s easy to make yourself at home in a Resort Spa Room. If you’re looking for extra space and a sleeping area that is separate from the living, look no further than a One Bedroom Resort Room! The spacious living area is perfect for entertaining with entertainment facilities, in-house movies and internet access. There is a fully equipped kitchen, laundry and dining area connected to the living space while the plush king size bed is located in a separate room for extra privacy. The living area extends onto the private balcony that features an outdoor dining area with views of the resorts swimming pools and gardens. Travelling families or groups will love the Two Bedroom Resort Rooms! The interior boasts a modern décor with enough room to accommodate up to 4 adults and 2 adults and 2 children. 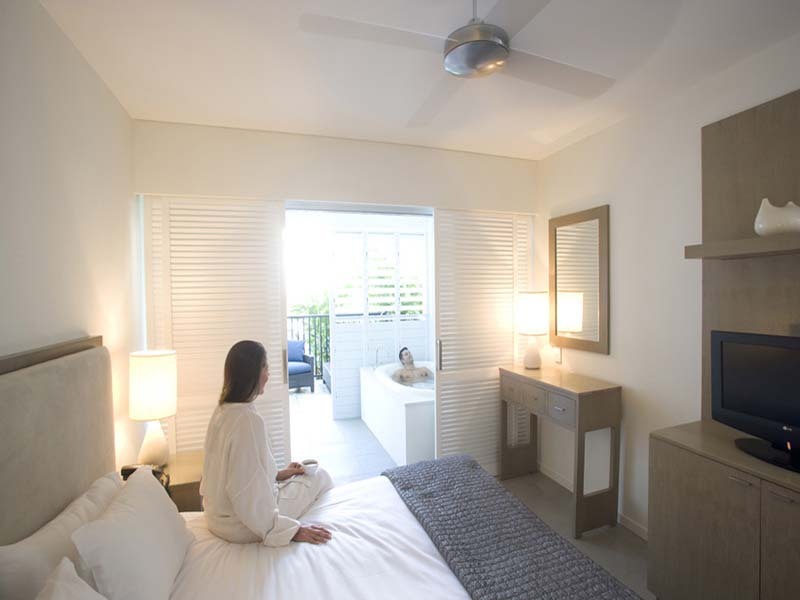 These dual keyed rooms connect a One Bedroom Resort Room and a Resort Spa Rooms together to make one spacious area. Choose your bedding configuration accordingly with the choice of two king size beds or one king and twin singles. Cook up a storm in the fully equipped kitchen before kicking back in the large entertainment area with TV, movies, Wi-Fi, mini bar and more. Take in the pool or garden views from the spa on the private balcony. Situated amongst a palm fringed sandy beach, you’ll find Peppers Beach Club & Spa Palm Cove located in between Port Douglas and Cairns. The Cairns Airport is about a 20 minute drive away. Indulge in a range of therapeutic spa treatments offered by the qualified therapists. Try one of the many different massage styles or rejuvenate your skin with a selection of face, head, hand and feet treatments. Head to the resorts Club House for fitness activities. There is a tennis clubhouse and court for you to practice your swing on as well as gym facilities. Take a refreshing dip in the lagoon-style swimming pool and swim up to the pool bar for snacks and drinks. 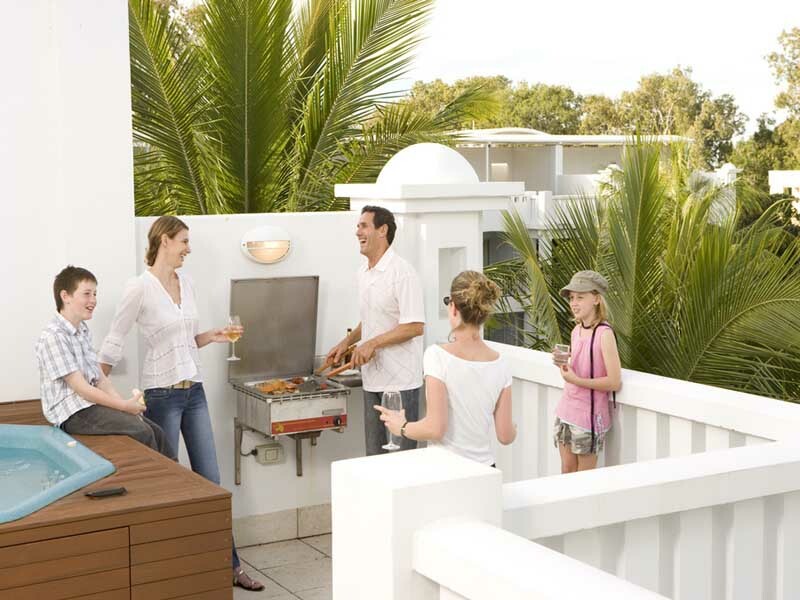 Entertain a group and book the rooftop terrace for a BBQ overlooking the resort. Prefer to eat out? Head to Peppers Beach Club & Spa onsite restaurant, Lime & Pepper. Breakfast, lunch and dinner are a new experience every day when you eat here. Dine just metres from the sands of the beach with sweet frangipani aroma filling the air as you sink your teeth into a selection of fresh, international dishes made only with the freshest ingredients sourced locally. Exploring the best of Queensland is easy to do from Peppers Beach Club & Spa. Spectacular national parks, such as Barron Gorge or Wooroonooran, aren’t too far away nor is the iconic Skyrail. The location is prime for exploring the Great Barrier Reef. Tours depart often from Port Douglas and Cairns. 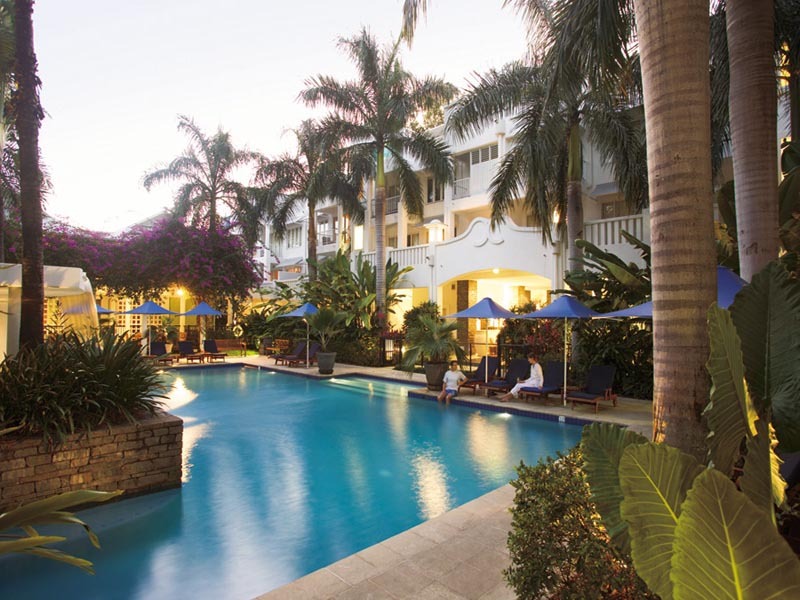 Palm Cove is great location for a North Queensland get away, and Peppers provides the ideal location surrounded by restaurants, cafes and the beach. Great selection of pools and food and easy walking to the rest of Palm Coves delights. Good family destination.